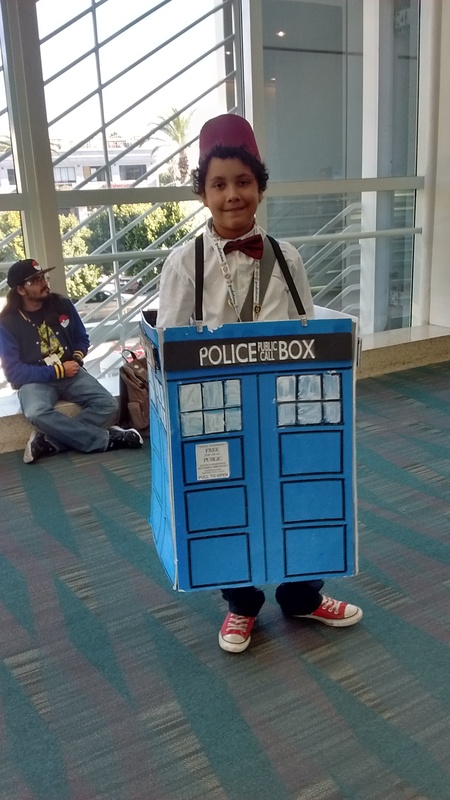 Pop Rocking Culture Goes to Comikaze 2015! Blue Striker, Dad and I went to Stan Lee’s Comikaze 2015 at the Los Angeles Convention Center on November 1, 2015. For starters, this may be a landmark year for the five year old convention, because Stan Lee (who bought out the convention a couple of years ago) made an unofficial announcement on Friday that this may be the last Comikaze he attends. It would be strange not to see Stan Lee at Comikaze. However, he is in his nineties, and it is amazing that he maintains such a high profile. 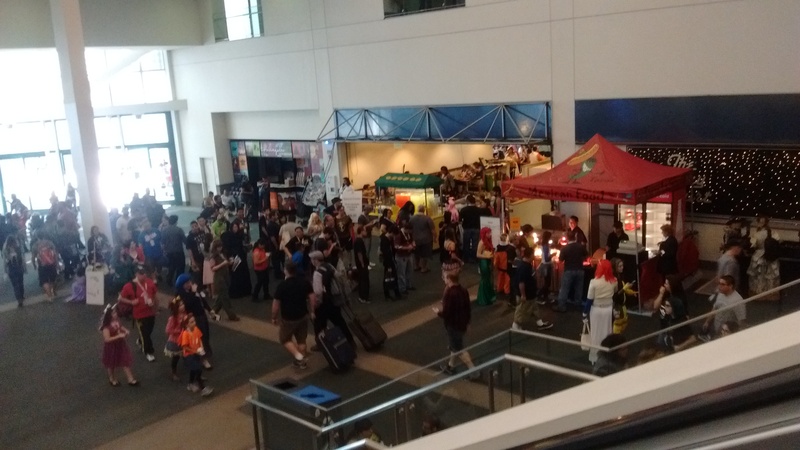 We last attended Comikaze in 2012, and upon entering the Convention Center, it was obvious how much Comikaze has grown. For one, we had a hard time getting through the crowds in the vendor area. While this is generally a sign of success, it made things a bit overwhelming. Blue Striker also noted that it also made it difficult to determine who had stuff to give away. A suggestion to those responsible for the day-to-day logistics of the convention: Make sure attendees (including members of the press, like me) have easy access to the programs. There was a lot of neat cosplay at Comikaze. I noticed that there was a relatively small number of people dressed as “traditional” superheroes. That said, there continues to be a plethora of Harley Quinns, Jokers, Deadpools and Spiderhumans. There were also plenty of anime and video game characters (who Blue Striker had to point out to me), as well as TV and movie characters. For even a minor Doctor Who fan like me, it was neat to see people dressed up as Doctors Tom Baker, David Tennant and Matt Smith. There were more fezes there than at a Shriners convention! As Pop Rocking Culture is also about the pop culture experience for kids, I did notice a few kids who seemed overwhelmed by all of the action. I am sure many of them were tired, hungry and even bored as well. It would be great that on Sunday, which is supposedly the traditional “kids’ day” at cons, there were a few more things geared towards the young set. On the plus side, there was a pretty neat panel called “Pop Culture Parenting with the Geeklings and Parental Units”. I got the chance to find out like-minded moms and dads, who had a few great ideas for bringing up the next generation of pop culture mavens. There is actually a group called Geeklings and Parental Units, who host meetups in the Los Angeles area. 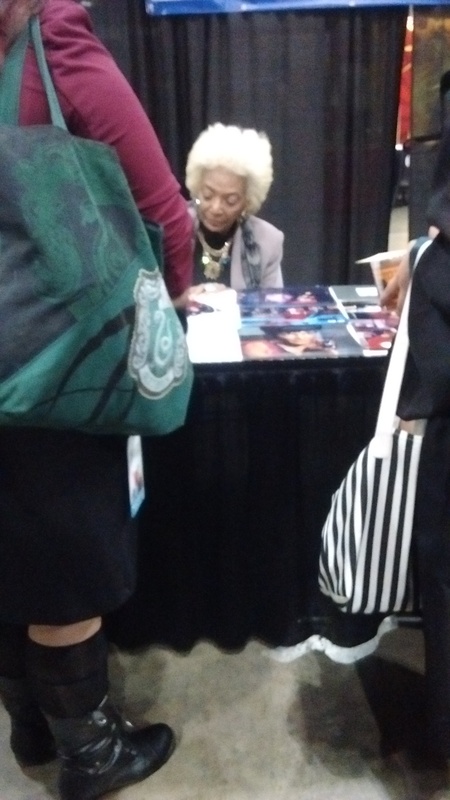 All in all, we had a good time at Comikaze 2015. We hope that wpress credentials in 2016. Blue Striker says that he will definitely dress in costume the next time around. As for me, I might as well.